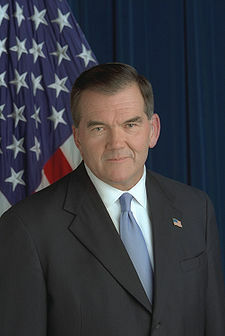 Former Homeland Security Secretary Tom Ridge is the latest to weigh in on Arizona’s new immigration law, saying he’s uncomfortable with it. Ridge told the Associated Press that he’s concerned that the law allows police to question people without probable cause. But he criticized both Democrats and Republicans for failing to come up with a national policy and said the U.S. should pressure Mexico to help control immigration, the AP reported. Ridge said he favors Congress legalizing the status of the 12 million illegal immigrants in the U.S. But he said they should not get citizenship. Posted: 4/28/10 at 9:49 AM under News Story.